Patricia Jo Koster was born December 2, 1937, in Moscow, Idaho, to Jackson H. and Doris L. Lawton. Unfortunately, too soon and most suddenly, the angels appeared and escorted Pat, our loving and talented wife, mother, grandmother, sister and aunt, to her eternal home, November 8, 2018. A Moscow native, Pat did not stray far from home to find her life partner. Rather, finding the love of her life, Richard, at age 5 and living just 2 blocks from each other, they were mature in their decision and put off marriage until their junior year in college. 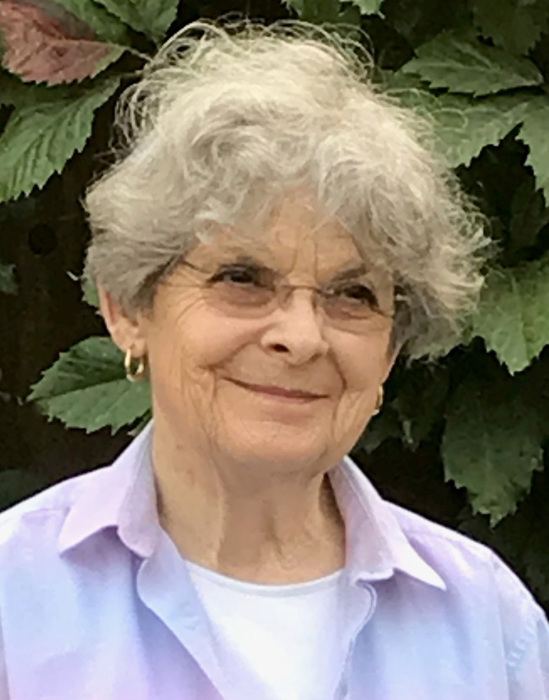 While at the University of Idaho Pat was an active member of the Kappa Alpha Theta Sorority and graduated from the University of Idaho in 1959. Pat and Rich made their home on the Koster farm north of Moscow until 1974 when they moved to Moscow. Their marriage of more than 61 years produced two beautiful daughters, Laura Lee and Lisa Rae, as well as their granddaughter Taylor Martine. Married into a longtime farming family, Pat quickly learned the ins and outs of farm life. Her eye was always taking in the world around her, its beauty, color and composition. As an accomplished artist, Pat was known for her chalk pastels and water colors. She received accolades and awards and was commissioned by Gritman Memorial Hospital for a portrait of Dr. Charles Gritman which hangs in the entrance of the hospital. A soft-spoken person, Pat had a generous and caring spirit. She and Richard would often be found providing rides to church for those who could not drive (or walk), taking food to those in need and, in so many ways giving back to the community she loved. Pat is survived by her husband Richard, daughters Lauri Koster, Moscow, and Lisa (Matt) Canale, Santa Maria CA, granddaughter Taylor Edwards, Spokane WA, sisters LeAnn (Tim) Phillips, Clarkston WA, and Jacqui Courtney, Elk WA, brother-in-law Curt Thomas, Las Vegas, NV as well as nieces Robyn Phillips, Salt Lake City UT, Lynn Svitenko, San Francisco, CA and nephews John Phillips, San Diego CA, Eric Courtney, Seattle WA, and Adam Courtney, Elk WA. A Celebration of Life will be held at 11:00 am, Monday November 19, 2018, at the Moscow Church of the Nazarene on Sixth Street. A luncheon and time of fellowship will follow at the University Inn-Best Western. The family would like to thank the first responders of the Moscow Volunteer Fire and Ambulance Department for their dedicated efforts and the selfless work they do for the entire community. A donation in Pat’s memory is suggested.